Talented "big" equitation horse who knows his job! Beautiful mover and jumper, very brave, great lead changer, very balanced and wonderful mouth. Ready to take a Junior or Amateur to the top! 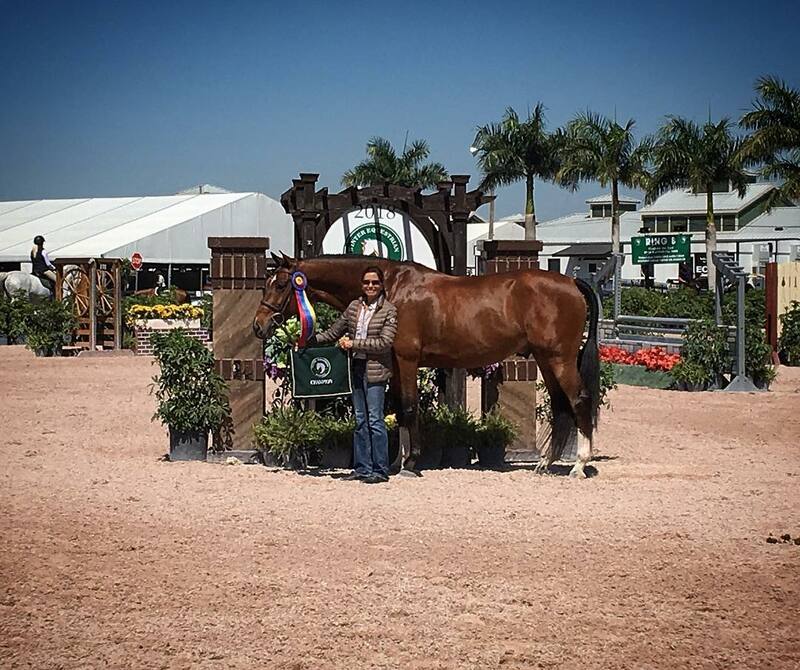 ​Check out the video of ​Playmaker winning in the 3'3" Performance Hunters during the 2016 WEF/WCHR with Amanda Steege in the irons for JT Farm. A very exciting 3'3" Green Hunter who scored in the 90s on the 2018 Winter Equestrian Festival circuit! Check out the video of Tyrion winning in the 3'3" Green Hunters with a score of 90! Buy or lease the best medium children's hunter pony on the market. Easy, easy - Walk/Trot through Children's Medium Hunter pony. Champion Hampton Classic (2012) and Under Saddle Winner! Easy and brave! Will give your child lots of confidence and fun! A very nice, short-coupled Big Equitation horse. Currently showing in the Northeast quite successfully in the Equitation and Hunters.